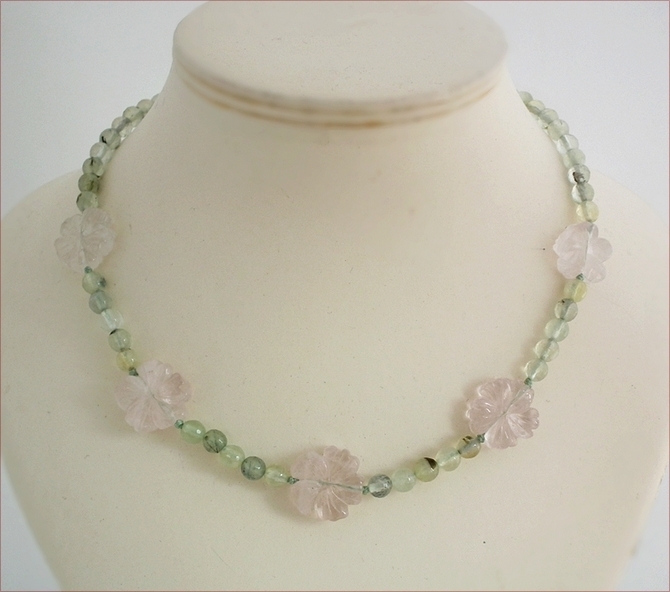 This is such a light and airy necklace. 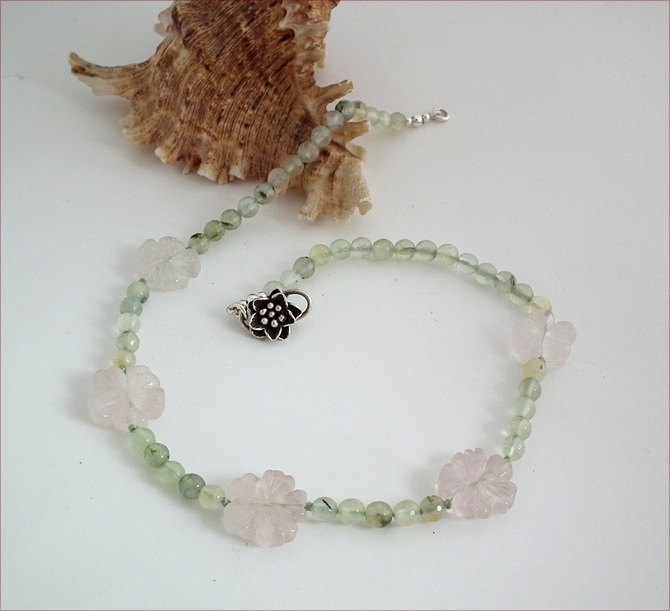 Five carved rose quartz flowers are teamed with green prehnite round stones, all fastening with a Karen Hill Tribe silver flower hook clasp. (Karen silver is purer than sterling). 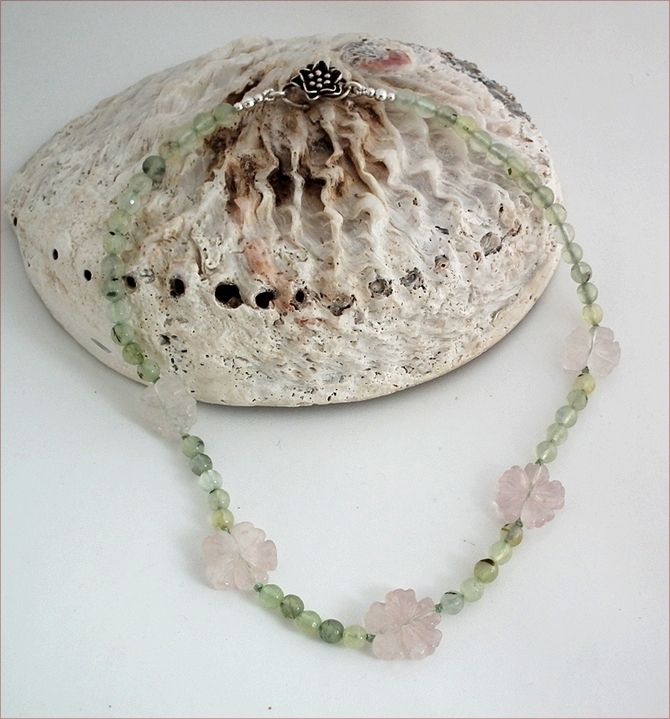 I've used a complementary green cord and knotted either side of the rose quartz flowers to give the necklace a lovely drape. 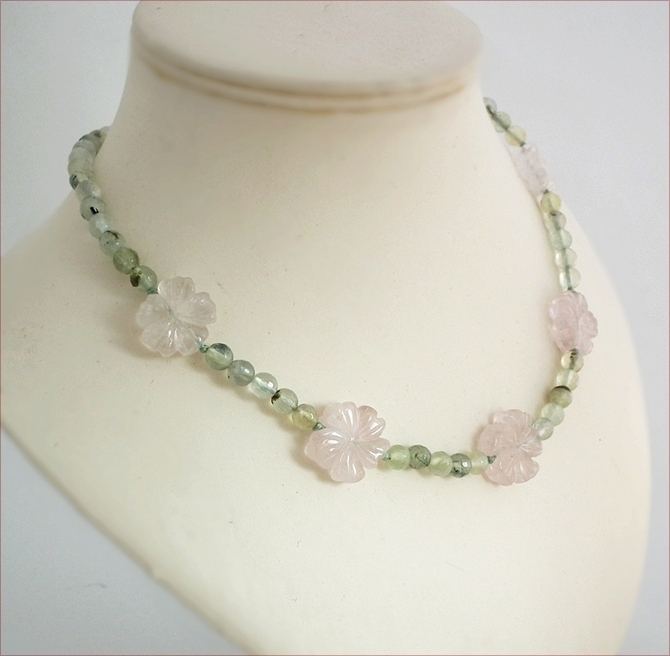 The necklace is 17.5" (455mm) long and is perfect for spring or summer outfits.